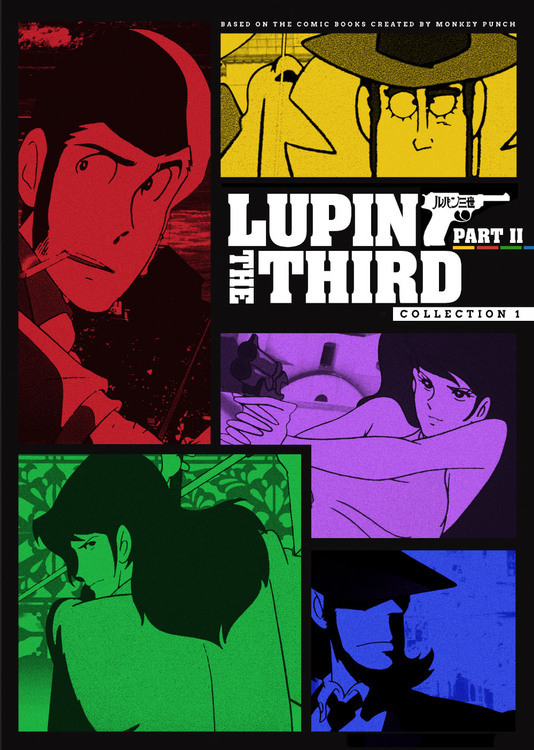 Lupin the 3rd Part 2 Collection 1 contains episodes 1 - 40 of the second TV series which began airing in 1977. Stealthy, smug, sharp, and silly. These words only begin to describe the greatest thief in the world, Lupin the Third. Ever at his side are the quick-draw sharpshooter Daisuke Jigen and the deadly, honor-bound swordsman Goemon Ishikawa. Besides the countless fabulous treasures and priceless gems he pursues across the world, Lupin’s target is the heart of one Fujiko Mine, a buxom beauty who’s just as often Lupin’s rival as she is his girlfriend. But getting away with the gold and the girl is rarely as simple as it first seems. The clever Fujiko is eager to run off with the treasure for herself. And the dogged Tokyo Police Inspector Zenigata has transferred to Interpol just to chase Lupin and his globe-trotting gang across any and all borders! What’s an international master criminal to do? Best release for series 2! Excellent video quality for such a dated series. Finally getting the original Japanese title sequence. 4 new episode commentaries. Extensive liner notes provided by Reed Nelson. 40 episodes on 6 discs in a compact package. By far superior to the singles discs (and far more shelf friendly). Can't wait until the remaining 3 sets are released. Probably the best (and cheapest) way to buy. This is probably the best way (and cheapest) to buy your Lupin III series 2 as of right now, but if you want any other subtitles than English you will be out of luck. I was mostly familiar with Lupin from the movies, but when RightStuf offered a great deal on this series, I decided to give the episodes a try. The transition to the earlier animation style was a little jolting, but I was quickly hooked. The characters are fleshed out a little here and there, and there are an amazing variety of capers. I'd been a bit worried it would be a "theft of the week," but no fear.